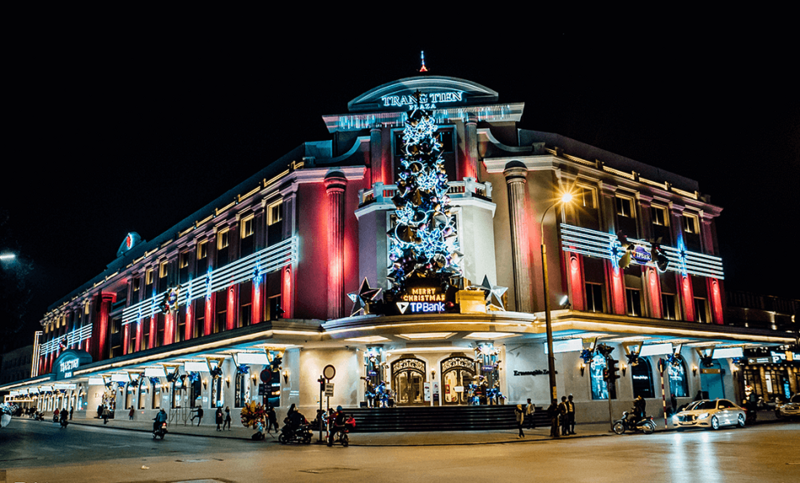 How to spend Christmas in Hanoi with Vietnam holiday packages? Home Travel Blog How to spend Christmas in Hanoi with Vietnam holiday packages? Christmas is one of the most important occasions of many people over the world, especially for Christian. On this special event, a lot of people get a holiday to travel abroad to experience a whole new atmosphere with their friends and family. Moreover, many of them have chosen the Vietnam holiday packages to enjoy the best memorable moments in this S-shaped country. Traveling at this time, travelers will have a great opportunity not only to relax on your Christmas holiday; but also to explore the 1000-year-old history, particularly in the capital of Hanoi. Is there any celebration of Christmas in Vietnam and in Hanoi in particular? The answer is: YES. Though Christmas is not a public holiday in Vietnam, people don’t have days off like in Europe or US. People are still busy with their work and businesses open in opening hours as normal days. In the country of Vietnam, it is estimated that there are about 8% of the population included in the Christian community; while the most popular religion is Buddhism. The fact that Christmas has become more and more popular in recent years. So many Vietnamese people even non-Christian celebrate Christmas as one of the most important occasions; besides Mid-Autumn festival, the Birthday of Buddhist, Vietnamese Tet holiday. Therefore, do not worry about whether you can celebrate Christmas in Hanoi. The only thing you should consider is to make your own plan for Christmas in Hanoi among hundreds of choices. 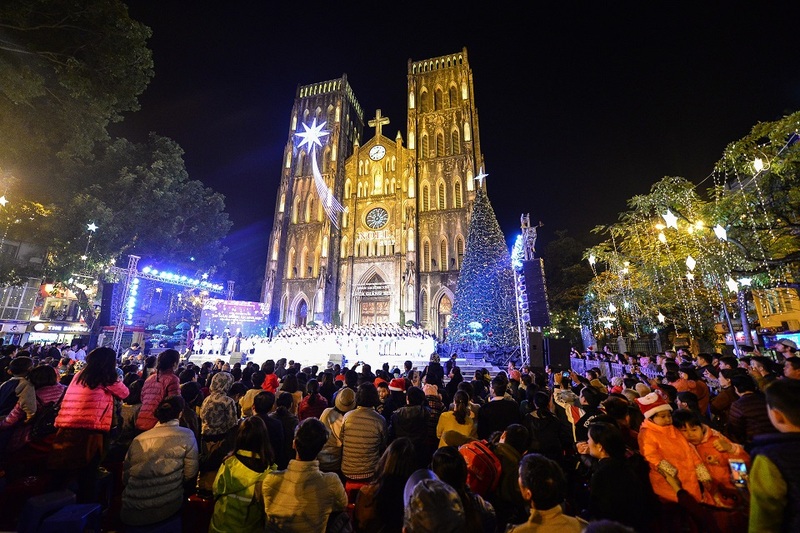 How Christmas is taken place in Hanoi? As the rest of the world, Vietnam starts celebrating on the 24th December and lasts all the next day. However, you can catch the feelings of Christmas 1 month before Christmas Eve. Hanoi as well as big cities in Vietnam like Da Nang, Ho Chi Minh City are the ideal places to welcome Christmas with many imposing activities. 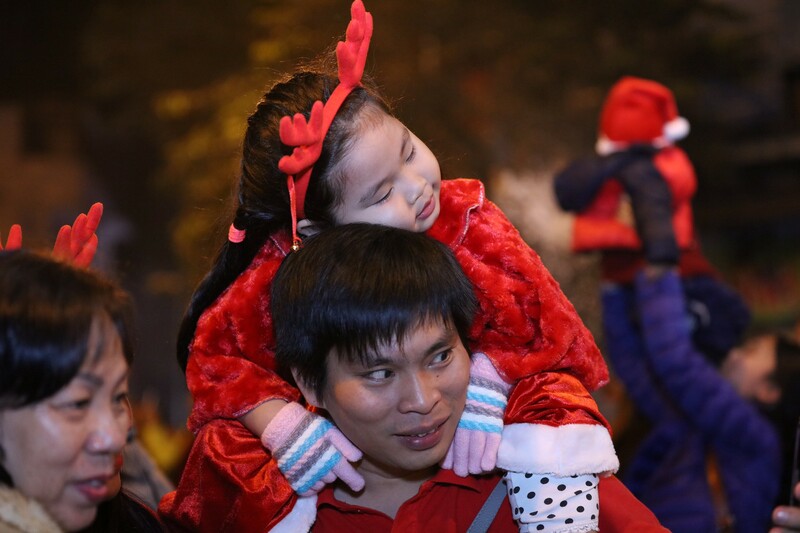 A few weeks before the outstanding night of Christmas Eve, very first “breath” of Christmas dominates Hanoi streets with the settings and decorations like features of a corner in the Western Avenue. 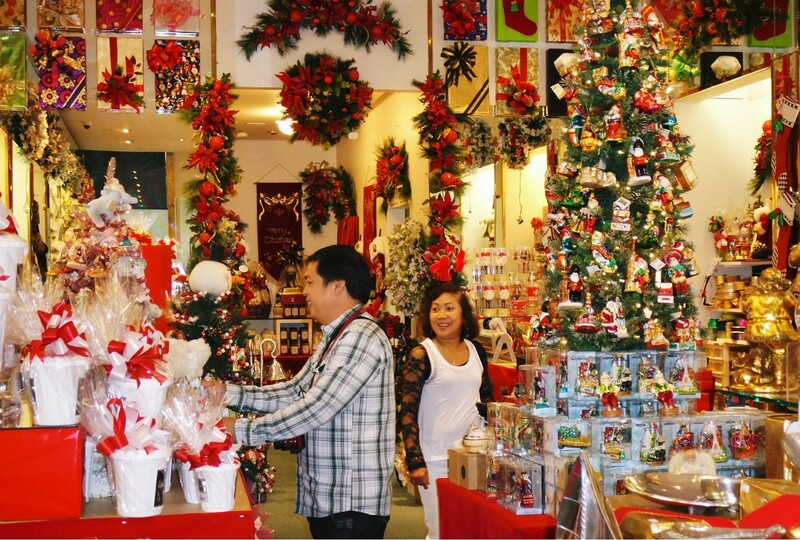 Shopping malls, shops, restaurants put on the new dress of elaborate ornaments; such as warm lighting systems, beautiful garlands, Christmas trees, friendly Santa Claus, etc. It’s not weird if you see some of Santa driving motorbike instead of riding reindeer. On Christmas Eve, a lot of people prefer going to big squares, walking streets around Hoan Kiem Lake, Churches; then enjoy some typically delicious Christmas dishes. If you are lucky, you can enjoy the music festival at public shows with lots of celebrities as a bonus Vietnam holiday packages warmly bring to you. Hanoi always attracts tourists on its own distinctive way; so the best way to find the “true Hanoi” is to put on the coat and then go out. Here are the ideal places for you to visit for Christmas in Hanoi suggested by Vietnam holiday packages. Located in the heart of Hanoi ‘s Old Quarter, Hang Ma is one of one of the few streets that sell the merchandise as shown in its name. This street is famous more its quick adaptability on the new trends. It is where to sell the concepts of decoration, ornaments in special occasion like Mid-Autumn Festival, International Children’s Day, Lunar New Year, etc. Therefore, you can easily find what you need to decorate in Xmas from greeting cards, Christmas tree, snowmen, Santa dress, etc. at reasonable prices. Therefore, as soon as you set your foot in Hanoi, let’s explore this famous street. Of course, one of the must-go places on Xmas is probably Church. In Hanoi, you can go to the most famous one of St. Joseph’s Cathedral which is near Hoan Kiem Lake. Vietnam architecture was influenced by French design under the dominance period; therefore, there are some existing French buildings in Hanoi. This church is one of them which looks like a replica of the Notre Dame Cathedral in Paris. The Cathedral is always a central place for gatherings of both locals and foreigners because of its splendid view. There is a big Christmas tree in front of the church and gorgeous decoration that attracts thousands of people. The weather in Hanoi at Christmas time is usually much cold especially at night when it can reach under 10°C. So, one of the best things to do is to put on the jackets, stroll around the Church to listen to Christmas songs and pray for the best wishes. 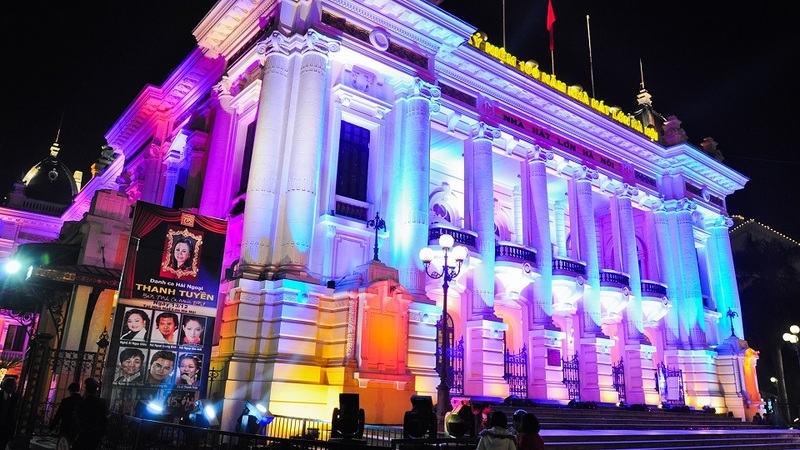 During your Vietnam holiday packages, you shouldn’t miss attending a music show at Hanoi Opera House. Keep in mind that during the celebration of Christmas, there are many musical performances with the theme of Christmas; for sure held in the front of Hanoi Opera House or inside as well. If you are interested in Jazz, Pop Ballad, music instrument, or even ballet, let’s put this schedule on your bucket of must-do things. Christmas is also a good chance for businesses, especially famous brands to launch “crazy” promotions. So that customer can buy what they want with promotional prices. Besides shopping, the shopping malls like Trang Tien Plaza, Vincom, Lotte center, etc are decorated elaborately that is a good backdrop for taking photographs. 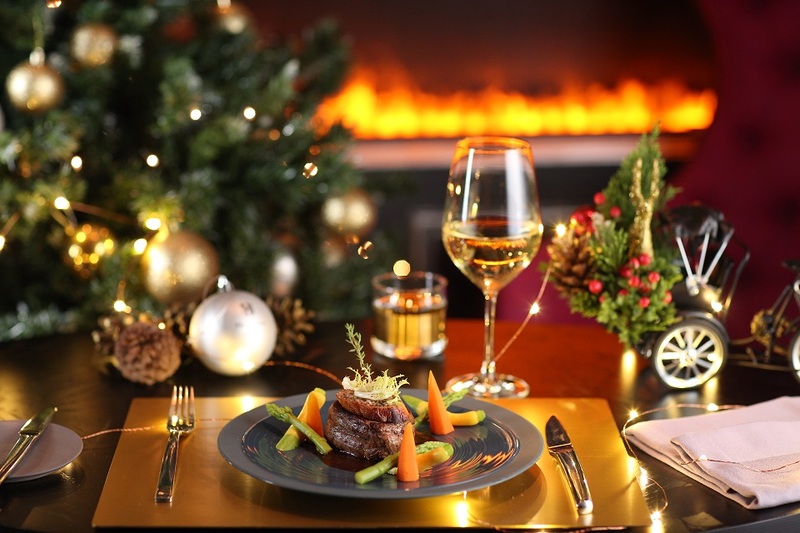 During the Christmas period, many hotels offer luxury buffet parties and music performance accompanying the meal. Standing out among the hotels in Hanoi can be listed: Sofitel Metropole Hanoi, Hilton Hanoi Opera House, Melia Hanoi, Hanoi Daewoo with the price ranging from $20-$75. Therefore, give yourself with a Christmas dinner in Hanoi with your family and friends. 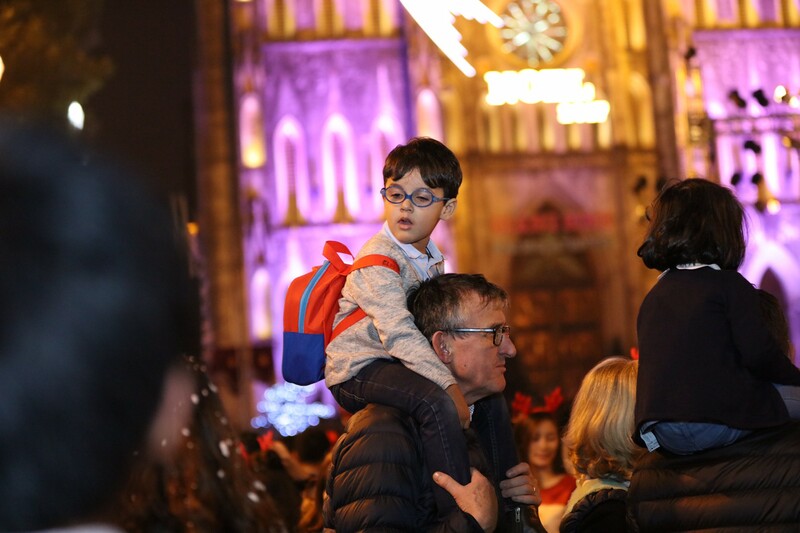 Additionally, you can notice some organizations and embassies usually hold open parties for their native citizens, so that you can join and cheer up for the night to forget the homesickness. To wrap it up, Hanoi is one of the most favorite destinations for the Vietnam holiday packages. It is where travelers can find the distinctive gastronomy, unique culture, friendly local people and especially the best memories ever. You can have a look at Vietnam cultural highlight 14 days tour, then plan your Vietnam tours in Christmas for the best experience ever.